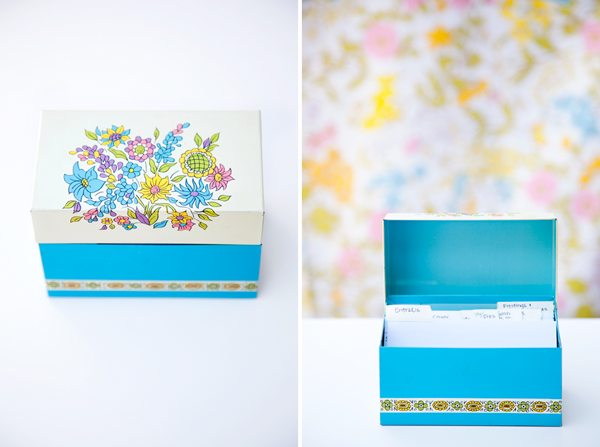 I've been on the search for a super rad recipe box since we got married..... finally, after some searching on the interwebs I found myself a goodie! And I'm totally pumped. So pumped that I rewrote all the recipes on 3x5 cards and filed them all up lickity-split, giving myself writers cramp in my right hand for a few days—but way better than my not-so-high-tech system I had going on before. Now I'm all sorts of organized with all my recipes in a box annnnd under categories like "soups" and "desserts" and "breads/doughs". Holla!!! Something else I'm loving right up right now? Karmin—Miss Amy and her boy Nick were introduced to me by Lauren (@PeaceLoveLauren) and I haven't been able to get enough! In Lauren's words, "white girl can THROW IT DOWN!" Check out the slammin rap songs is ya wanna—but they gots lots of other awesomeness up in there too!! These covers rock my socks off: Price Tag (because there's a trombone!–that is a trombone right?) and King of Wishful Thinking (fave?) and Mine and Stuck Like Glue (what the country/reggae? and for some reason I like it.....). hahha i'm so glad you love her- i spent forever on her channel yesterday!! 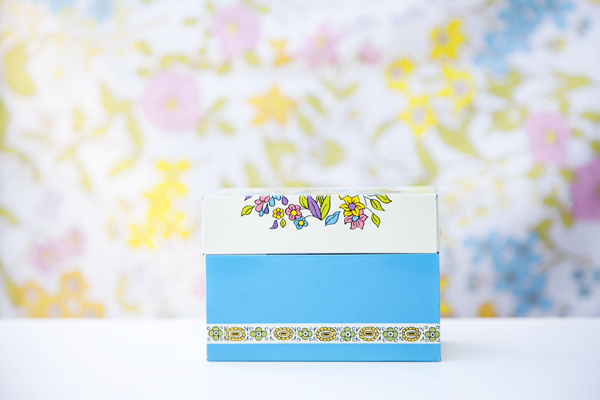 and the recipe box is oh so cute, great find! Ha! When I went to college and got my first "cute" recipe box I did the same thing! It's looks like a good 'un Geri!